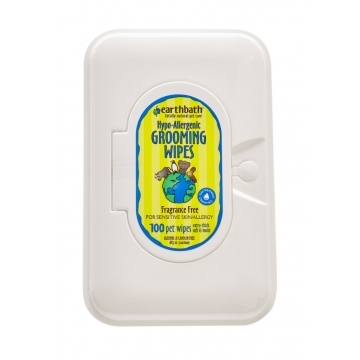 Alcohol, lanolin, harsh chemical, and pharmaceutical-free. 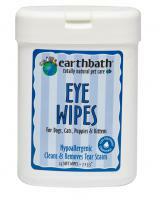 Use earthbath Hypo-Allergenic Grooming Wipes to safely and easily wipe away dirt and odor between baths. 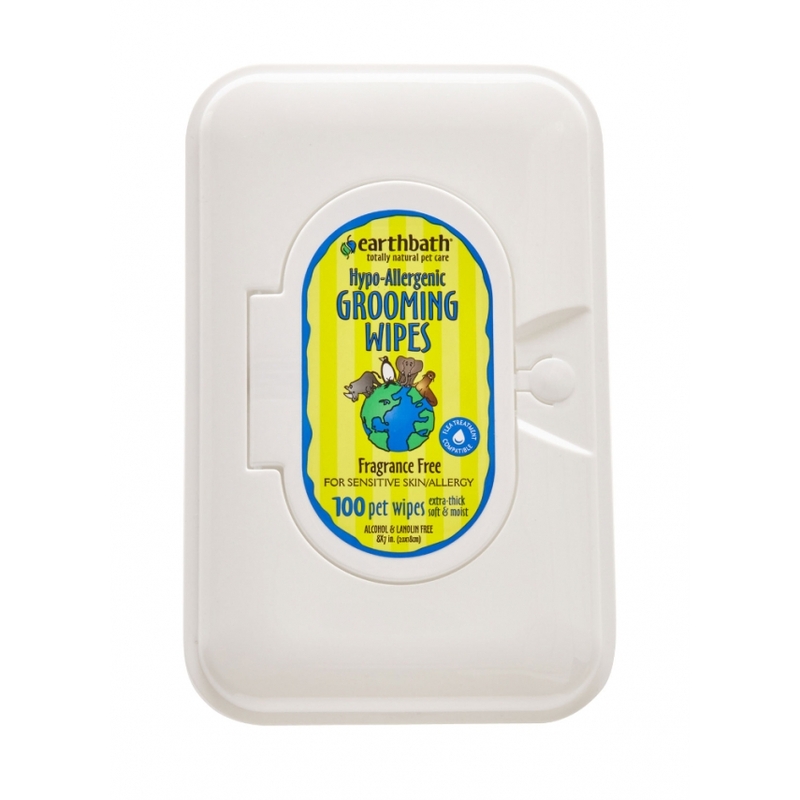 Handily clean pets’ dirty paws and undercoat – dirty bottoms, too! 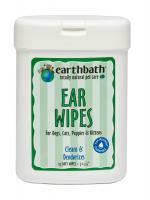 Remove dander, drool, discharge and cling-ons from playing in the unknown. Mild cleansers deodorize, freshen and clean as the exotic Hawaiian Awapuhi conditions the coat and imparts a healthy shine. Aloe vera and vitamin E moisturize both coat and skin. Do not flush wipes. Store in a cool, dry place.